This post is dedicated to Vikas who asked me if he should use ‘a’ or ‘an’ before the initialism ‘RTI’ which stands for ‘right to information’. In other words, should it be ‘a RTI application’ or ‘an RTI application’? After all, it would be incorrect to write ‘an right to information application’. 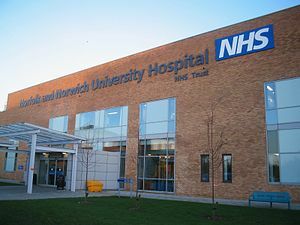 This is often a dilemma in the UK in relation to the NHS — should we write ‘a NHS hospital’ or ‘an NHS hospital’? Vikas has raised a very interesting query and there is a difference of opinion about it. The first argument says that because the sound of the letter ‘R’ begins with a vowel sound, you should write ‘an RTI’ — which certainly sounds correct and is easy on the ear. This is probably the most popular option. The second argument says that you should write ‘a RTI’ because if you read the first word out in full it begins with a consonant sound and so should be used with ‘a’; in other words, you would write ‘a right to information application’, so you should therefore write ‘a RTI application’. My advice is to choose the style you like, comply with any style rules that apply to you, and be consistent — don’t mix and match between the two options. An initialism is an abbreviation made up of initial letters, such as ‘BBC’ and ‘RSPCA’. The letters are pronounced separately. An acronym is a word made up of initials, for example, ‘Aids’ (acquired immune deficiency syndrome) and ‘laser’ (light amplification by stimulated emission of radiation). « He or she – or they? To me, and to my ear, not even an issue: an RTI, due to the initial vowel sound. A related cross-cultural issue involves “herb,” since many Brits pronounce the H and many Americans do not. Hi, Michael — that’s a really good point. Thanks for taking the time to share it.